Even though it seems like there's really no hope for the former long-time couple Miss Piggy and Kermit, who broke up in August, that doesn't mean shippers can't reminisce about the better times these two once shared. Miss Piggy and Kermit had a lot of happy times as a duo, so why not move past all the breakup drama and focus on the good of their former relationship by taking a trip down memory lane with photos? I mean, looking at the positive is way better than all that negativity some Miss Piggy and Kermit fans might be holding onto with a firm grasp. I know, I know. It's going to be extremely difficult to look at all these old photos of the two muppets being lovey-dovey, laughing, and having the time of their lives. And now that Kermit is dating Denise, well, who wants to put salt in old wounds? I sure don't, but you know what? I think they'd want us to remember them as a couple with smiles and laughter — not with shady tweets or by being a pessimist. With that said, here are a bunch of pictures from back in the day of Miss Piggy and Kermit being the happy couple Muppets fans will always remember them as. Man, they enjoyed that opera so much. Just look at those smiles. They always loved helping others in need, especially if they could do it with Desperate Housewives stars Teri Hatcher and James Denton. 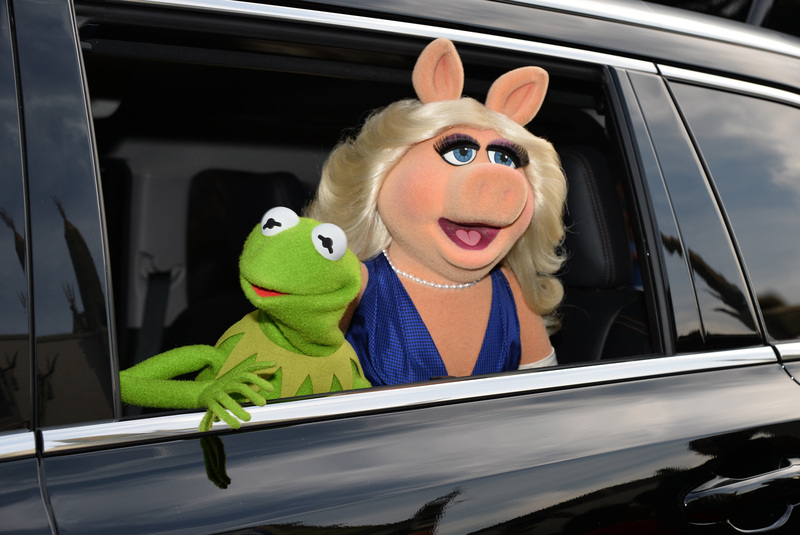 The red carpet is Miss Piggy's second home and Kermit couldn't help but support her. Look at those smiles and that excitement. Even Muppets Most Wanted character Constantine is smiling. When didn't Miss Piggy want Kermy to serenade her? Too bad they never danced as a couple on Dancing With the Stars.